Written by sylvia borgo on Monday, March 16th, 2015 at 8:00am. Gregory Alan Isakov’s music is dreamy and whimsical and also very melancholic. Isakov also has the power to move people to tears and that is exactly what happened at The Irenic when he and his band treated the audience to two hours of music. Isakov’s voice is warm and subtle, yet incredibly engaging. His bandmates, violinist Jeb Bows, cellist player Phil Parker, and guitarist Steve Varney are consummate musicians. Together, they were able to bring forth every beautiful detail found in Isakov’s songs. 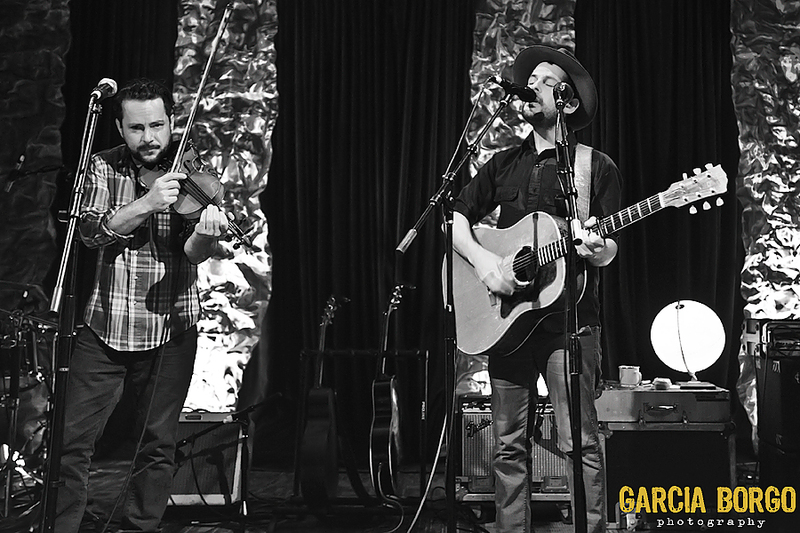 Opening act The Shook Twins — who Isakov jokingly introduced as “my Doo-Wop band” — joined him for for a hushed performance of “Honey, It’s Alright.” Sometimes, during this song, Isakov sang so faintly that even a whisper from the audience would have rattled through the hall. Thankfully, all in attendance remained rapt and quiet.